I just received this newly launched quad by Kathleen x Colourpop the other day - Where The Night Is. Good news, all 8 shadows in both her quads are available for purchase individually. I really love Blaze and KathleenLights in her first quad in this quad I think I will hit pan on Weenie real soon. 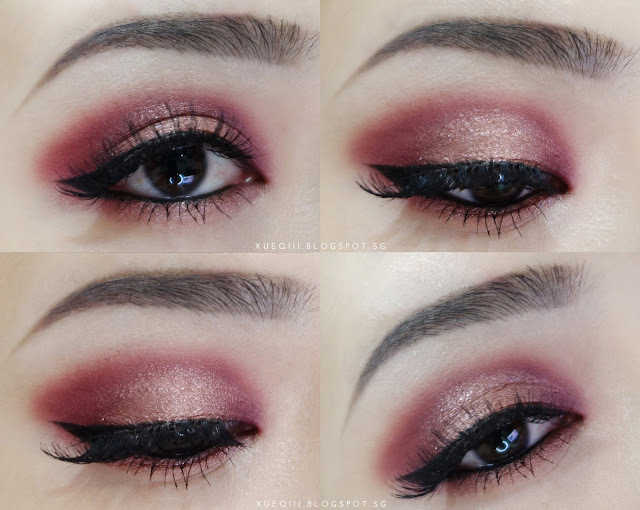 I did the following makeup look featuring her first quad in this post here. I love how the packaging is just a black version of Where The Light Is. Keep the magic in close jar tightly after use. Swatches with flash and under normal white light. Let's move on to the 2 looks I created with the quad! 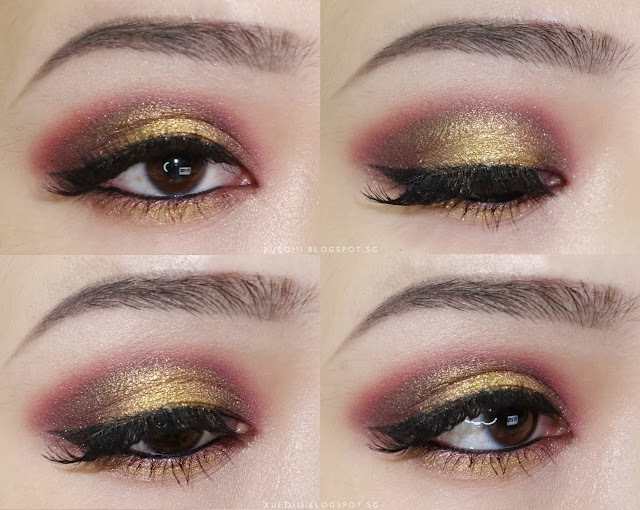 First is a burgundy rose gold look and second look is darker with a pop of gold. Step 1 - Mix MakeupGeek Peach Smoothie, Creme Brulee as a transition shade in the crease. 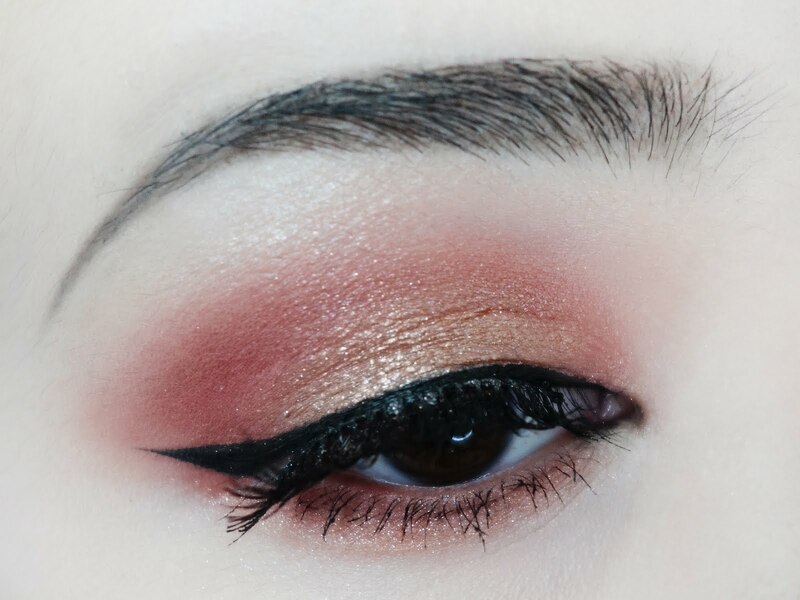 Step 2 - To create a halo effect, deepen the inner and outer corners with Porter and MUG Bitten. Step 3 - Apply Weenie on the center of the lids. Intensify the colour with spraying a bit of MAC Fix+. Step 4 - Apply the same shades on the lower lash line. Lastly, finish up the look with a wing liner and falsies. Here I used e.l.f Cream Eyeliner in Black and Red Cherry Lashes in #43. Step 1 - Darken corners with Midnight shade. Step 2 - Lastly, just pop Telepathy on the center of the lid and also the center of the lower lash line. Lips I decided to go with Ofra's Havana Nights. Also another cool collaboration with Kathleen.